Crossword came out in June 2016 with the idea to create a choreography which was inspired or made use of the theme of “voice”. I got curious on the emotional impact that a dialogue of voices can have on people, adding the restriction to use a language that the dancers didn’t understand. Working with British dancers I had the opportunity to use Italian dialogues. My aim was to create a solo for each dialogue that worked on its own, both emotionally and choreographically, and find a complementary aspect when by the end all the solos come together simultaneously in the space, creating an intricately woven visual scene. The result was a deeply emotional and human response and a textured physical language. During the performance the audience will be able to gradually piece together the work as it unfolds in front of them, solo by solo, each complimenting the other to create a rapturous, rhythmical finale. 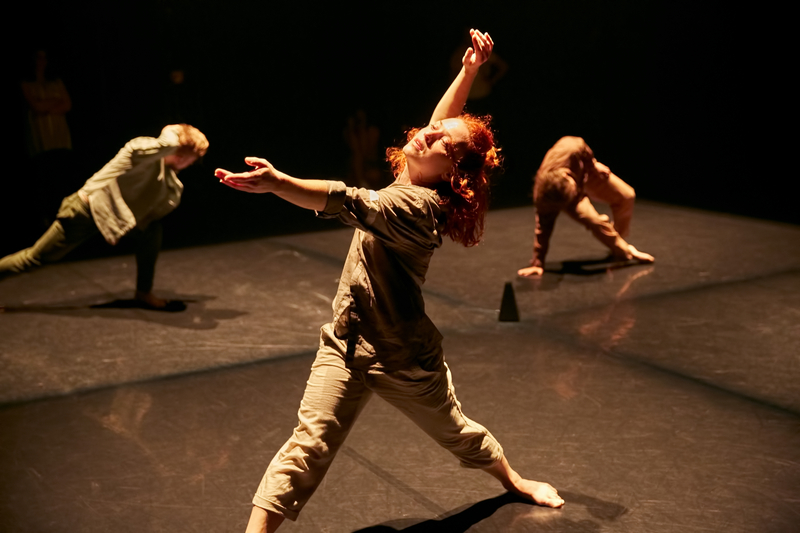 Bringing this work to Italy will bring the audience and the performers to explore a completely different experience due to the language barrier, therefore leaving the movement language as their only way to connect to one another. Matteo started to approach choreography for the first time thanks to the choreographic platform run by Introdans (NL) where he created Just A Breath and won the second prize at the Certamen Internacional de Coreografìa Burgos-New York. He returned to choreography later via Alternative Routes, National Dance Company Wales’ annual choreographic platform, where he continued to develop his approaches to choreography, playing with different techniques and involving new art forms. Pieces included: Crossing Paths, Omertà, Desensitized and Crossword. Matteo was recently awarded by OneDanceUK as future leader in British Dance. Una coreografia ispirata alla voce come tema, che si traduce in una risposta umana e fortemente emotiva attraverso il linguaggio del corpo. Il limite linguistico lascia il linguaggio del corpo come unico elemento di connessione tra pubblico e performer.